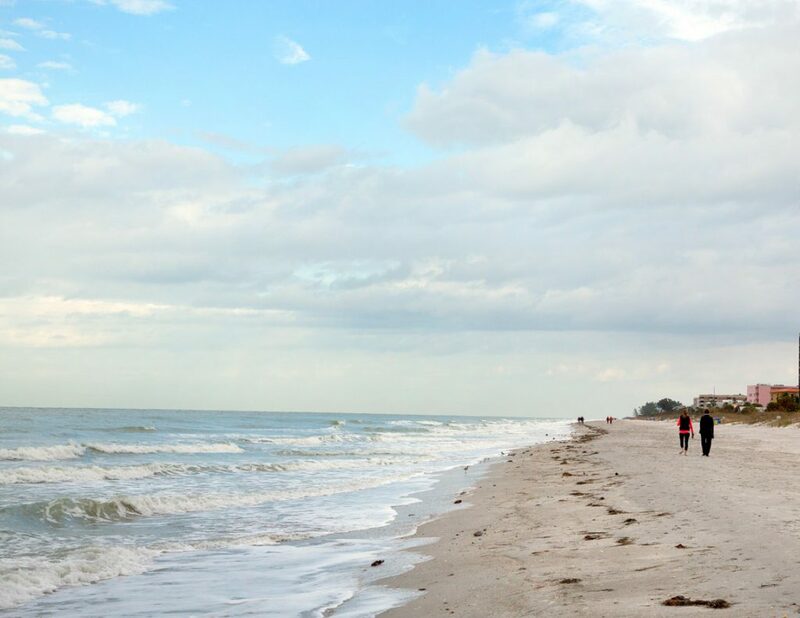 Have you ever been to Indian Rocks Beach? 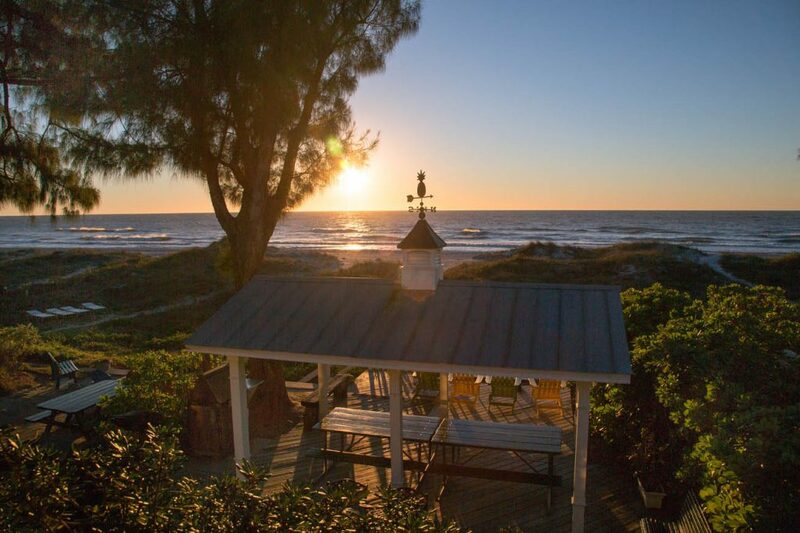 Have you ever heard of Indian Rocks Beach? Those are two questions that you need to ask yourself if you like me, love the gulf coast of Florida. 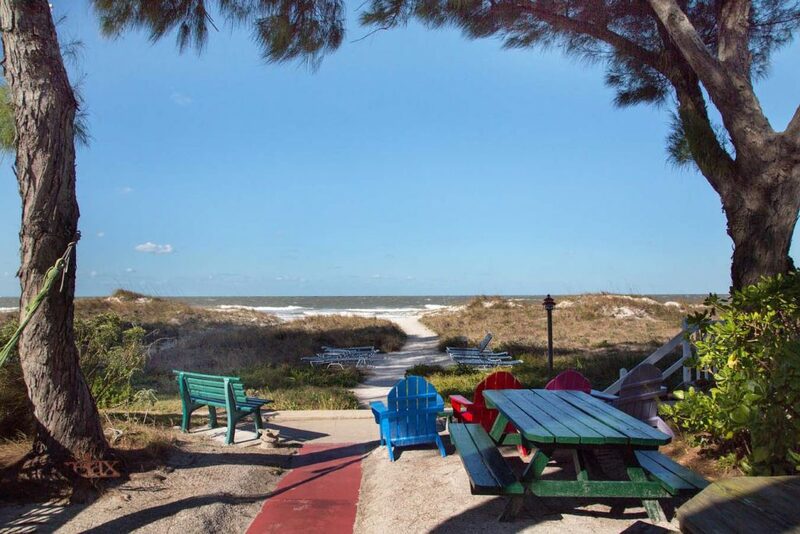 Nestled between Clearwater Beach and St.Pete’s Beach is a lovely stretch of almost uninhabited beach called Indian Rocks Beach. This year TripAdvisor named Clearwater Beach as the #1 Beach in the United States and St. Pete’s Beach came in at #4 in the US. Hmmm….. it doesn’t take a rocket scientist to figure out that the beach between two of the top 5 beaches in the country would be just as good. Maybe it’s missing some of the glitz that the other two areas contribute to the equation, but it’s peaceful, almost empty and positively gorgeous stretch of beach! Just so you know these pictures were taken in February and although Florida is immune to most of winter’s woes, we do get a little cold from time to time and this weekend was one of those wintry Florida weather weekends. 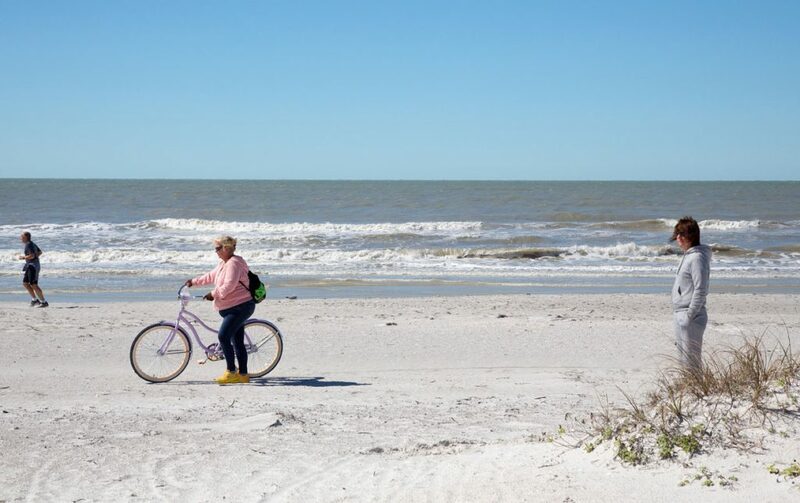 Now I have been in the area in April and can attest that the beach is not much more crowded in warm weather with everyone heading over to Clearwater and St. Petes. 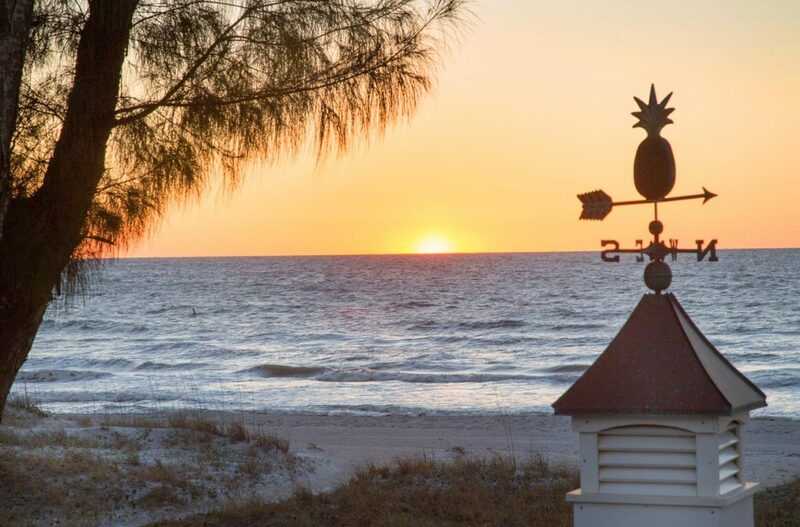 And that’s a good thing, because that leaves the hidden treasure of Indian Rocks Beach to the locals that love it and tourists that have stumbled upon it accidentally. So don’t tell anyone, ok! 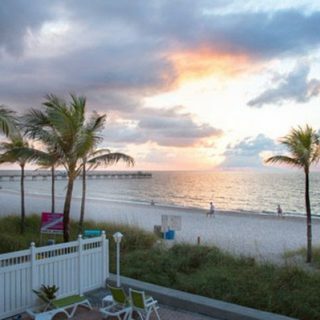 All kidding aside, tell your family and friends about this slice of paradise and let them know that Chef Dennis has some friends there that can hook them up with a beachfront “Old Florida” style accommodations. So get a pen or better yet jot it down on your smart phone in your contacts. 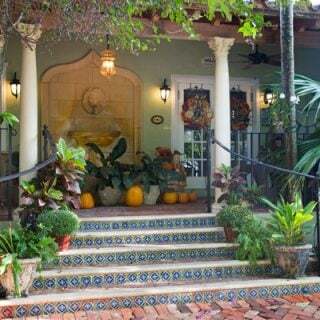 The Colonial Court Inn at Indian Rocks Beach, Florida. Can you say tropical paradise? Look through the arbor at the side of the house. Do you see the water? 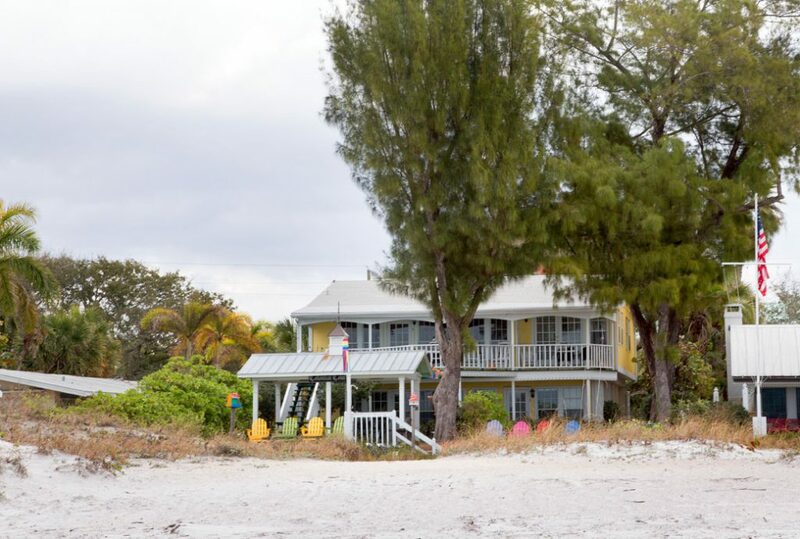 This lovely “Old Florida Inn” is right on the beach! 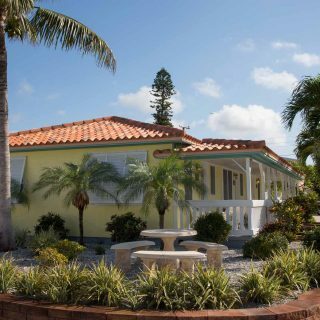 You’re home away from home is part of the Superior Small Lodging of Florida that specializes in small, non-chain, family run “Old Florida” style resorts. 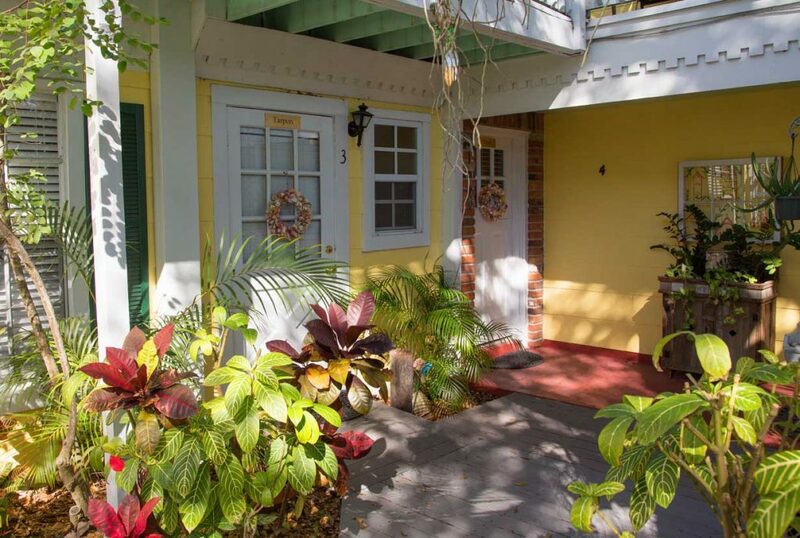 Lisa and I were just blown away by the apartment we stayed in, The Tarpon was a beautifully appointed 1 bedroom apartment overlooking the beach. The Colonial Court Inn has 1, 2, & 3 bedroom apartments, each decorated to their theme with ceiling fans, cable TV’s, DVD & VCR players, stereos with CD players, phones, hairdryers & fully equipped kitchens with microwaves. 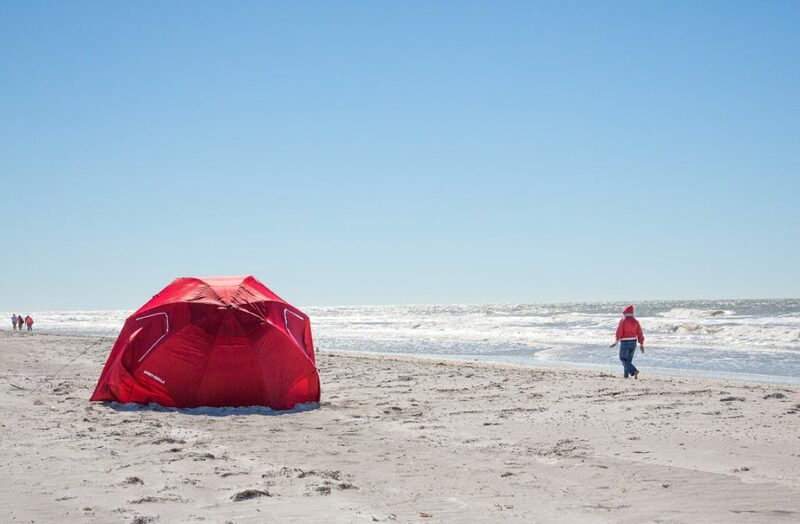 Everything you need for an extended stay or a quiet relaxing weekend at the beach. 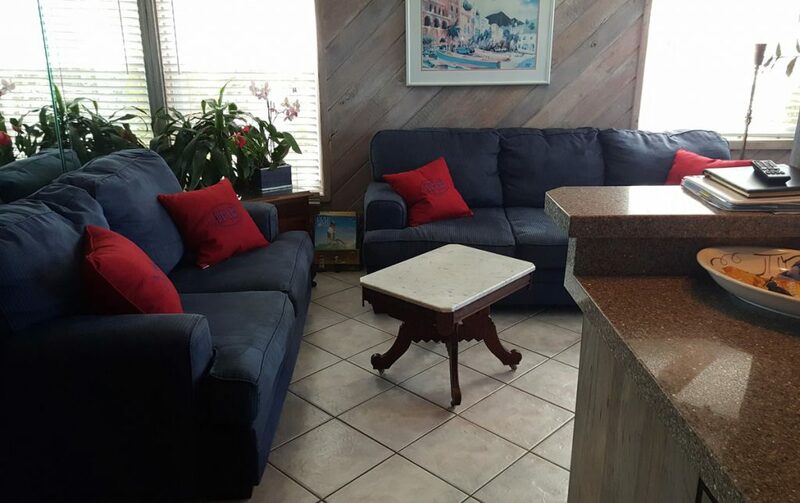 Front and rear seating areas outside of the apartments are available, as well as a common area out back and beach chairs down towards the beach. The Colonial Court Inn also has an outdoor shower and free washer and dryer for guests to use. This was the view from our back door. And at night we were lulled to sleep by the sound of the waves…..sigh. 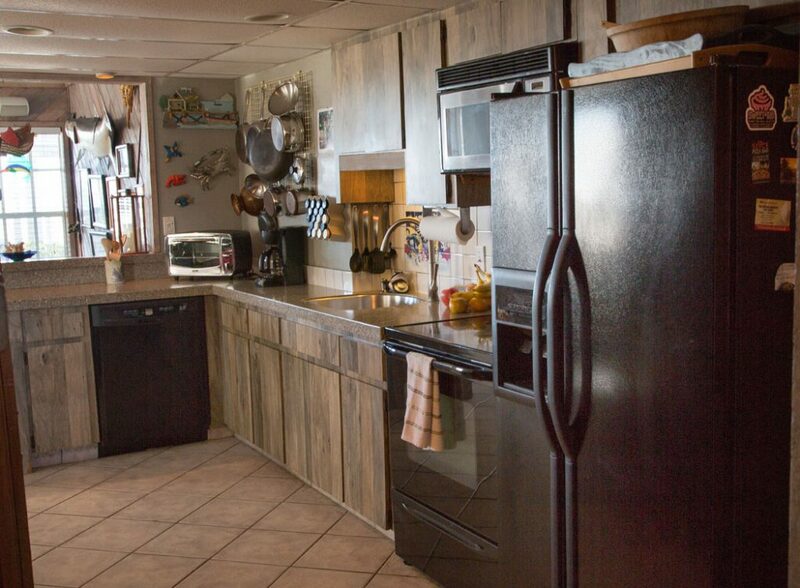 Had I wanted to do any cooking, I had everything I needed in the kitchen and then some! But with all the dining options within walking distance, there was no reason to cook at home on this trip. 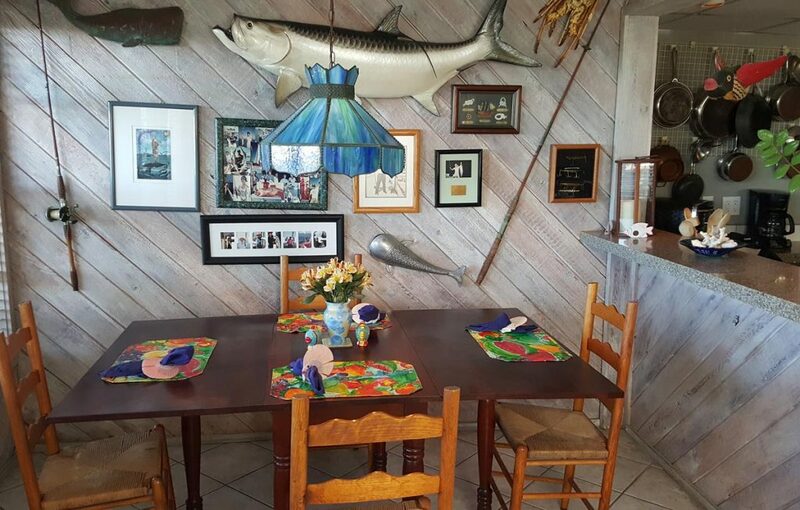 Hanging on the wall is a Tarpon, giving this apartment its name. We had a great view of the beach from just about every room in the apartment. The living room was spacious and comfortable and proved to be a great place to relax in comfort as we looked out on the beach and gulf. And even though it was a little chilly, we spent a good deal of time on the beach, enjoying the sun when we had it and looking for shells that the waves had washed ashore. But one thing the Gulf has every night for you’re enjoyment are sunsets. 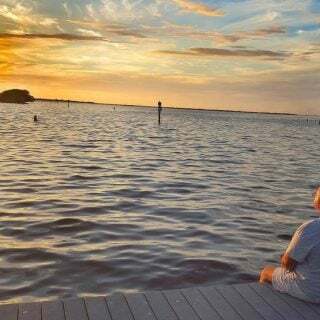 We got to enjoy this sunset with our hosts Laura and Jim on our first evening at the Colonial Court Inn. They were also kind enough to give us a tour of the other 5 apartments that make up the resort. Each one with its own flavor and character. The second floor apartments are the best spots for watching sunsets. It’s a great place to look for the legendary green flash. With restaurants within walking distance and a drug store across the street the Colonial Court Inn is the perfect spot to get away and leave your car parked for the duration. 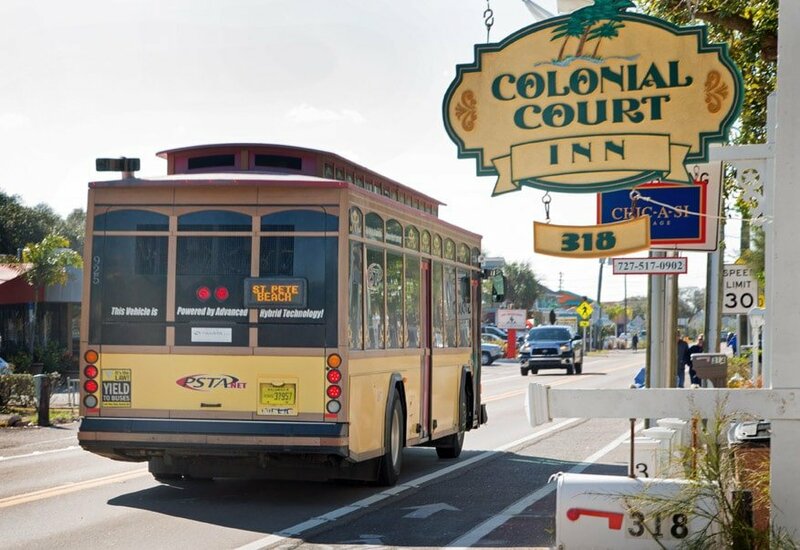 And if the feeling of wanderlust hits and you’d like to go exploring the area, you can pick up the the Suncoast Trolley practically at your front door. 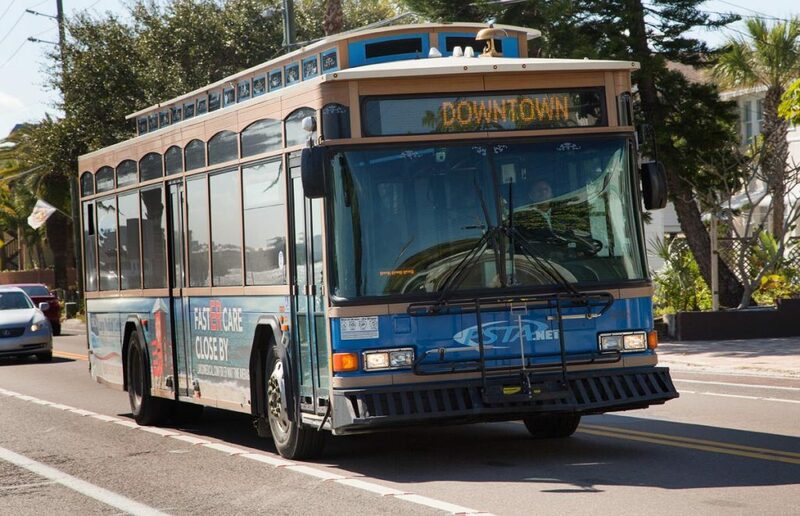 The PSTA Trolley System can take you from Tarpon Springs to downtown St. Pete’s. It’s a great way to see Pinellas County and leave the driving to someone else. 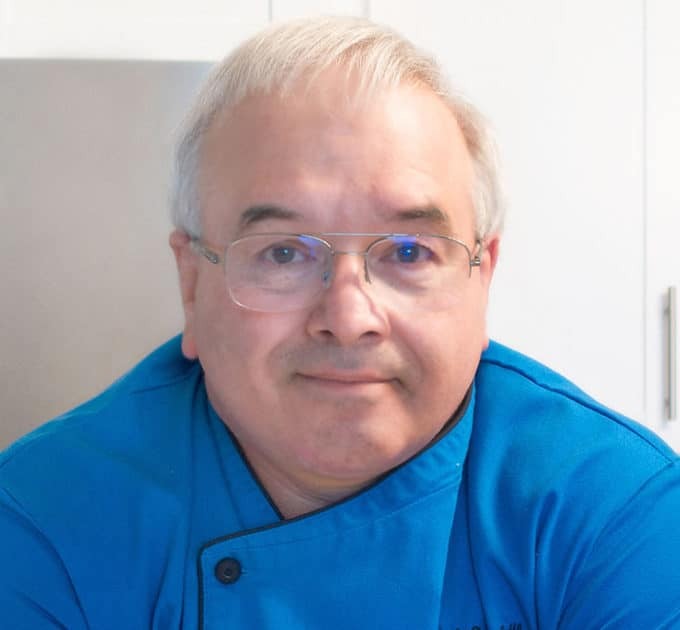 To learn more about The Colonial Court Inn, just click on the link to go to their website or call for reservations at 727-517-0902 and tell them Chef Dennis sent you. 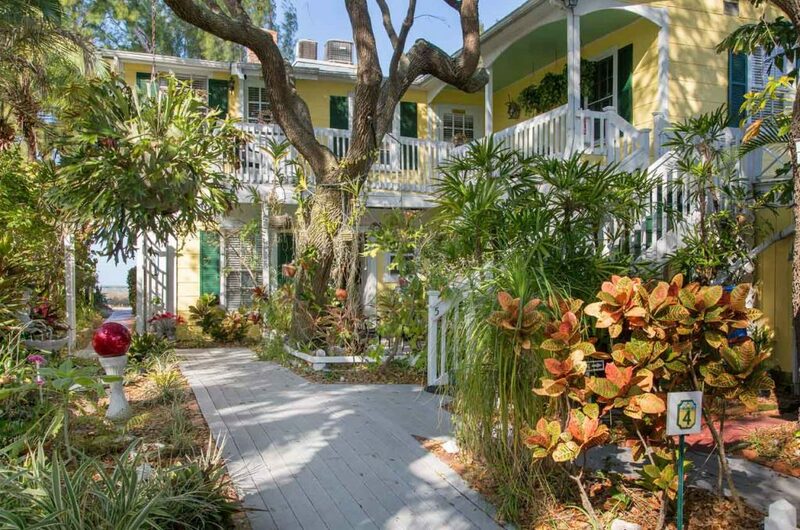 Click on the link to learn more about Superior Small Lodging and “Old Florida” style accommodations, available through out the state of Florida. This post has been brought to you by The Colonial Court Inn and Superior Small Lodging. All opinions, text and images are 100% mine. I love it. I was there approximately 35 years ago and loved it back then too. Thank you for sharing. It is such a nice area Liz, we can’t wait to get back! Thnx chef for sharing ! Looks quaint ! Is it below 30° now? Is it very humid in July?